Can European banks be saved by a fresh round of deal making? 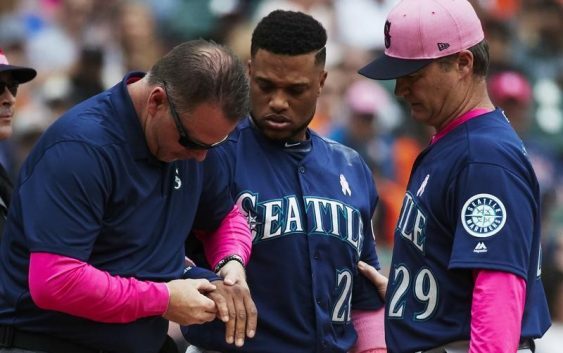 Robinson Cano is back with the Seattle Mariners, having finished his 80-game suspension for violating Major League Baseball’s joint drug agreement, and he has a new position. Cano was reinstated from the restricted list Tuesday, and he got the start at first base, his first appearance at the position as a major-leaguer. The Mariners optioned right-hander Casey Lawrence to Triple-A Tacoma and transferred righty Sam Tuivailala (Achilles) to the 60-day disabled list in corresponding moves. 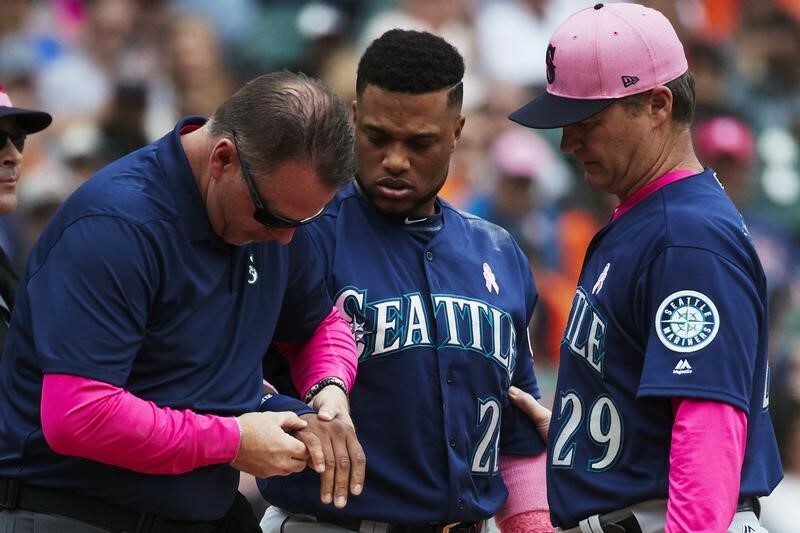 Cano, 35, was placed on the disabled list May 14, the day after he sustained a broken hand when he was hit by a pitch in Detroit. He was suspended the next day for a positive test of the diuretic furosemide, which has been known to be used as a masking agent by track athletes. Before Tuesday, Cano had played all but one inning of his 14-year major league career at second base. Former Mariners center fielder Dee Gordon, who shifted to second base during Cano’s absence, will remain at his new position. Cano also taken has ground balls at third base, where Kyle Seager is entrenched. –The Tampa Bay Rays received prized pitching prospect Shane Baz as the player to be named in the deal in which right-hander Chris Archer was sent to the Pittsburgh Pirates. Baz, a right-hander, was a first-round pick (No. 12 overall) by the Pirates in the 2017 draft and received a $4.1 million signing bonus when he agreed to terms. The 19-year-old was 4-3 with a 3.97 ERA in 10 starts this season for Bristol of the rookie-level Appalachian League. The Rays also received right-hander Tyler Glasnow and outfielder Austin Meadows in the July 31 trade. Meadows was the ninth overall pick in the 2013 draft, and Glasnow was a fifth-round pick in 2011. –Chicago Cubs right-hander Yu Darvish threw a simulated game at Wrigley Field and is nearing the start of a rehab assignment, team president Theo Epstein told reporters. Darvish threw roughly 50 pitches over his three simulated innings. He has been on the disabled list since May 23 due to right triceps tendinitis. –The Philadelphia Phillies recalled right-hander Hector Neris from Triple-A Lehigh Valley and optioned shortstop J.P. Crawford to the same affiliate, the club announced. Neris was the team’s closer earlier in the season but fell out of favor after two tough outings in the second half of June. He was 1-3 with 10 saves and a 6.90 ERA in 33 appearances for Philadelphia, blowing three save opportunities. Crawford is batting .194 with two homers and eight RBIs in 34 games. He was activated from the disabled list on Friday after missing seven-plus weeks with a broken left hand. –The St. Louis Cardinals activated rookie outfielder Tyler O’Neill from the 10-day disabled list. Outfielder Adolis Garcia was optioned to Triple-A Memphis following Monday night’s game. O’Neill was placed on the DL on Aug. 4 with inflammation of the groin area. He had served a short DL stint in July for a left groin strain. The 23-year-old has hit .309 with three home runs and nine RBIs in 23 games with the Cardinals this season. –The Boston Red Sox activated catcher/utility man Blake Swihart from the 10-day disabled list. Catcher Dan Butler was designated for assignment in a corresponding move. Swihart, 26, had been sidelined since Aug. 3 with a right hamstring strain. He has hit .226 with one home run and six RBIs in 51 games this season. –The Texas Rangers acquired outfielder Alexander Ovalles from the Chicago Cubs as the player to be named to complete the Cole Hamels trade. Ovalles, 17, has batted .316 with no home runs and eight RBIs over 21 games in the Dominican Summer League this season, his first professional action after joining the Cubs as an international free agent last July. He has been out since June 26 after requiring surgery to repair a broken hamate bone. The Rangers already acquired right-handers Eddie Butler and Rollie Lacy in exchange for Hamels and cash considerations. –The Milwaukee Brewers reinstated right-hander Taylor Williams from the disabled list prior to their afternoon game against the Chicago Cubs. The Brewers also recalled outfielder Keon Broxton from Triple-A Colorado Springs. Right-handers Jacob Barnes and Aaron Wilkerson had been optioned to Colorado Springs on Monday. Williams was placed on the DL on Aug. 3 because of right elbow soreness. The 27-year-old is 0-3 with a 4.22 ERA in 42 appearances this season, striking out 49 batters in 42 2/3 innings. –The Toronto Blue Jays acquired right-hander Bryan Baker from the Colorado Rockies as the player to be named to complete the Seunghwan Oh trade. Baker, 23, was 4-2 with a 3.80 ERA in 43 games out of the bullpen for high Class-A Lancaster this season.